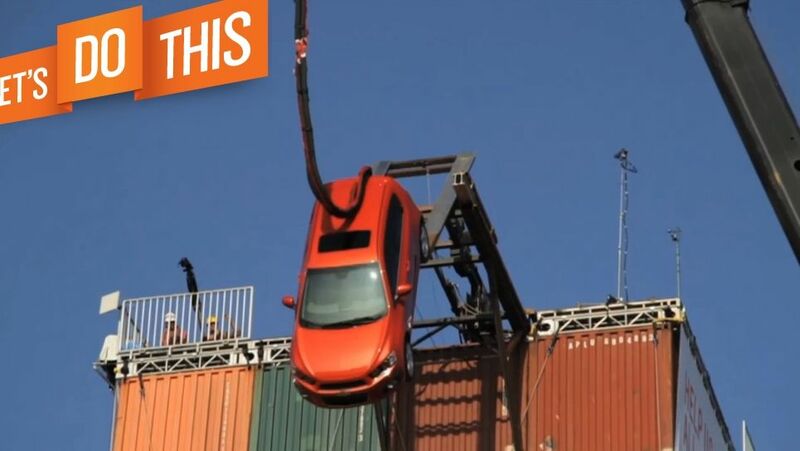 Taking car marketing to...ahem...new heights, Chevrolet has launched Let's Do This, a quirky promotion that, along with dropping a Sonic from a plane and attaching one to a bungee cord and rolling it off a 100 foot high pile of shipping containers, asks people to send in pictures and videos of goofy accomplishments. A contest awards points to the person who earned the most badges (for particular submitted stunts) and the most votes (by visitors). The person accumulating the most votes overall will win a Chevy sonic. Goodby, Silverstein & Partners is behind the work.